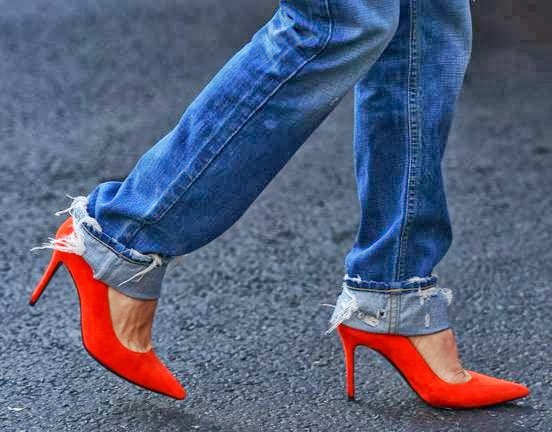 Colored heels have been on trend for a while now, but when I saw this photo taken on the streets of Paris' recent Fashion Week, I was immediately inspired! My closet IS missing a bright colored suede pointy heel. Manolo Blahnik started the trend with these bright lovelies. If you are like me and aren't ready to spend a fortune on one pair of shoes though, check out these, or for a different option these!